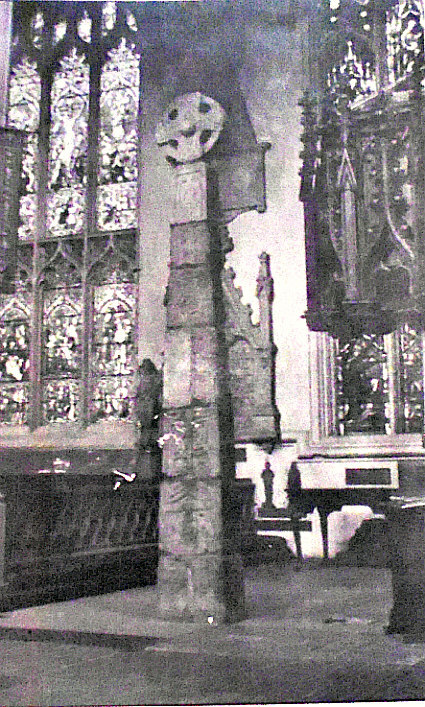 “This is a 19th-century reconstruction of 10 sandstone fragments of an Anglo-Saxon cross-shaft found following its discovery in 1838 when the church’s tower was pulled down. 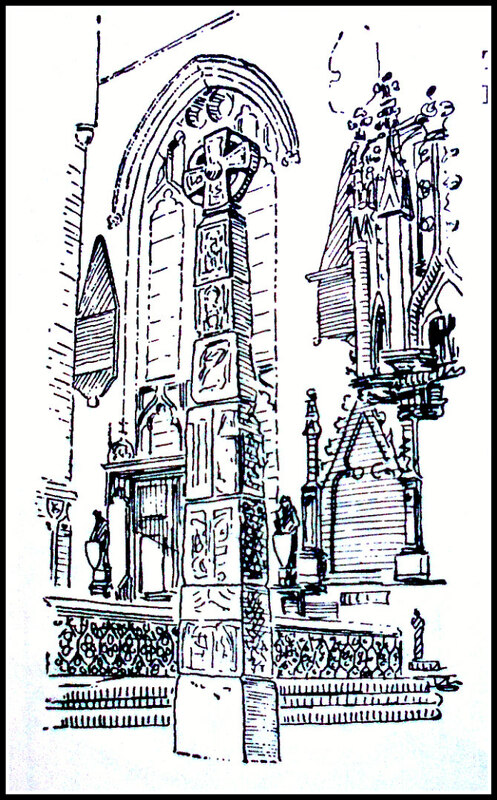 The ‘Leeds cross’ is actually a composite, a Victorian presentation of the Leeds 1 fragments together with fragments of a cross-head that might be from another monument (Leeds 6). It is important to remember that some of the missing pieces have been restored and are not original ones, so the precise details of many scenes are open to multiple interpretations.